Posted byAditya Kane	 March 18, 2014 10 Comments on What I took away as Organizer of WordCamp Mumbai 2014! 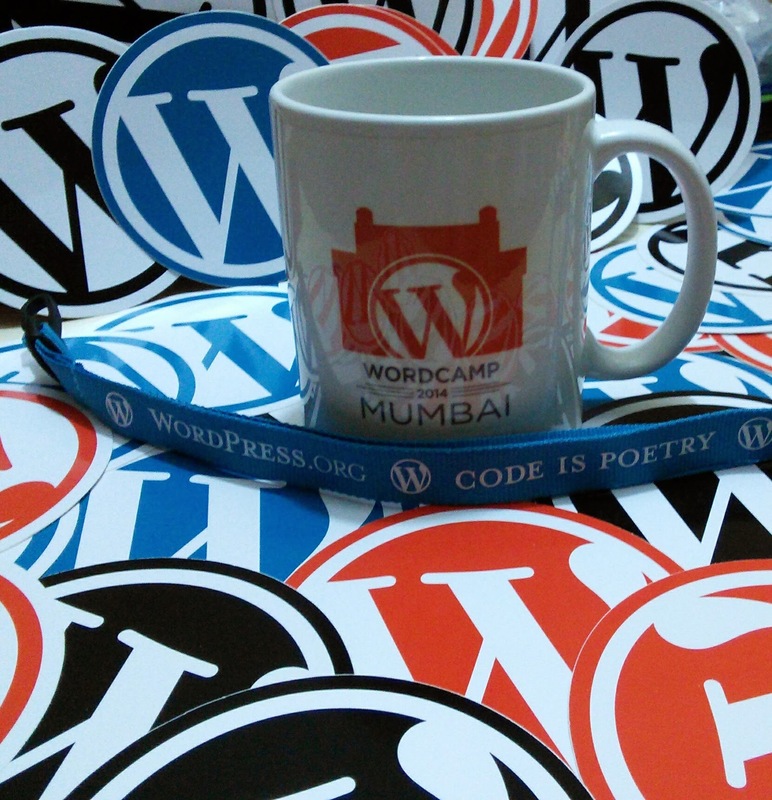 Last weekend was a culmination of months of preparation for WordCamp Mumbai. There were days when I was was extremely sure of it’s success and there were certain days, I had tremendous doubts on my ability more than anyone else. I loved organizing this event. I kept asking many people around if they were having a good time and enjoying the sessions. Most said incredibly nice things but by no means am I going to fall into the trap of thinking this was the perfect WordCamp. They were probably being polite and real feedback will soon start trickling in. How WordCamp Mumbai was as an event? The best to answer that question, would be people who attended as participants, speakers and even sponsors. As an organizer I am too close to it to be rational enough. Maybe 6 months down the line I could be more objective- hence I won’t get into rating the WordCamp sessions, events anytime soon. But I certainly learnt a lot of things with this WordCamp and here are my takeaways. Prepare like crazy! – First thing I take away is that one has to prepare for everything. Take your time and make plans and prepare for all eventualities. Every organizer because of the amount of efforts they put into a WordCamp tends to feel a certain amount of ownership over the event. Personally I think that is a dangerous trend among event organizers. Open source communities will have their famous personalities but we must not forget that we do not own this community or movement. I just had the privilege of organizing a meeting place for them. As a organizer I hope I won’t fall into the trap of thinking that I have some ownership over WordCamp Mumbai or WordPress community. I do not. It is a great privilege to be an organizer of WordCamp. You become friends with some awesomely talented people. I doubt I would have interacted much with any of my co-organizers like Vachan, Sahil, Yash, Jaidev, Chirag, Saurabh, Premanshu, Gaurav, Ajay, Ratnesh and so many more had it not been for WordPress meetups. I doubt I would have had the chance to hang out with founders, CEOs, web developers, code geeks, WordCamp organizers from other cities, event organizers, journalists, writers, bloggers, sketch artists and so many more – if I had not been involved in organizing this WordCamp. Now to what my plans are post WordCamp – It is time to chill out a bit, start reading some books and toss a few beers and enjoy turning a year older this weekend with some close friends and family. Here are some posts by some participants. Strange but true. I have attended several events (non WP) and some of them were really prestigious. I have never come across a single event that didn’t have this wi-fi problem. Don’t know why but this is true. One reason for that we usually use the person/home wi-fi that we use at home, which at most is stable around 50 connections or so. Any event of a good size will have more devices than 50 and will start acting up. The commercial, industrial ones or daisy chaining normal routers should be one way to go about it. Hasgeek does a very good job and I’m sure they learnt it the hard way. And always have a Plan B and a C and if you can afford, have a Plan D.
Yes, I have also not really attended an event with flawless connectivity – but I think ours impacted one speaker a bit – which is one major regret I have. It did not technically impact him but might have got him more hassled and it was his first time speaking. Now, that’s some honest post I’ve ever read. As you said, simply because someone organizes or has the privilege of organizing something, one doesn’t become a leader. It’s nice to see that you actually enjoyed the event and learnt a lot. My experience as organiser of similar events is that you prepare as much as you can, but on the day of events you let things happen. Still I can say one thing, WC Mumbai was one of the best WordCamps that has happened till now in India because of the audience that was present. I just hope in next WordCamp in Pune we can match it. @Amit: Thanks for those kind words about WCMumbai – yes lets make a great WordCamp in Pune hopefully this year. My first and only WordCamp so far – I thought it was put together very well. The kind of issues you mention are typical to any event but yes, over time I guess we learn and get better. I was very happy that you and Alex were interested in widening the community beyond the usual suspects. I hope that vision follows through. @IdeaSmith – Yes some of the issues were typical but technical in nature and those things improve over time. Yes we are looking widening the community and yes the focus is definitely more on being more inclusive and welcoming.